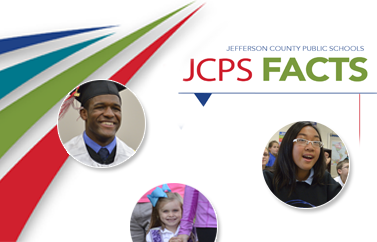 All Jefferson County Public Schools students graduate prepared, empowered, and inspired to reach their full potential and contribute as thoughtful, responsible citizens of our diverse, shared world. Caring—All JCPS children are nurtured as if they are our own. 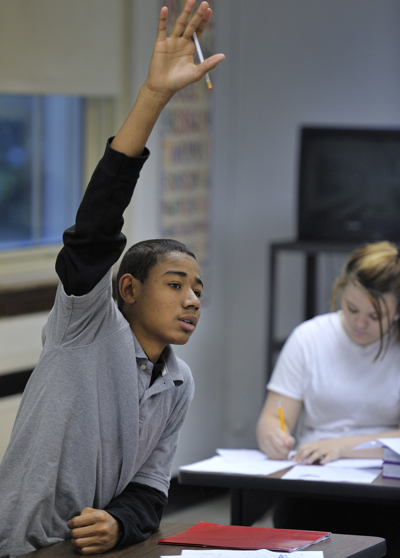 Equity—All students receive an education that gives them what they need to thrive through differentiated supports focused on removing social factors as a predictor of success. Excellence—Empowering people to lead, create, and innovate is essential to creating a culture of excellence. Respect—All students, staff, and families are treated with dignity and respect as members of a safe and welcoming learning community. Individuality—Children learn differently and require personalized approaches to learning. Diversity—Our diversity is a strength—differences of each are assets of the whole. Opportunity—Effective teaching is the most powerful tool for engaging and motivating students to reach their full potential. Creativity—The ability to create, innovate, and solve challenging problems is a critical skill for educators and children to develop and employ in teaching and learning. Collaboration—Relationships, cooperation, and partnerships among students, staff, families, and community are fundamental to the success of our students. Stewardship—Adults model integrity, respect, and responsibility through mindful stewardship of talents, resources, and time. Read the district's strategic plan. Read the JCTA Alignment with Vision 2020.